Food is a central subject of our daily life. That is why Market used to play an important role of the city life and urban space planning. Market was a place where people came to find products, to communicate with others, and to solve the variety social problems; but then markets started dying, discounters replaced them because of the low prices in big shops. Since then markets stopped to be important places for local communities. However, modern shift to sustainable life and organic products brought old-style markets back to life. Markthalle Neun is one of a such market specialising in organic food directly from farmers or producers. New market halle has more than hundred-year history and attracts not only average consumer, but also gourmets from all around Berlin. If you are care about your health, prefer to eat only natural organic food or want to try the best food from different parts of Europe, you should come to the Markethalle Neun. You can find there the best sausages from Germany, black truffels and delicious cheese from France, magnificent wine, milk products, olive oil and spicies from the south of Italy, fresh black carrots and other local vegetables from different regions of Germany. This market is not only place for buying products of good quality which are guaranteed by the owners of the market who select producers carefully. But it is a meeting point for people of different cultures and ages. 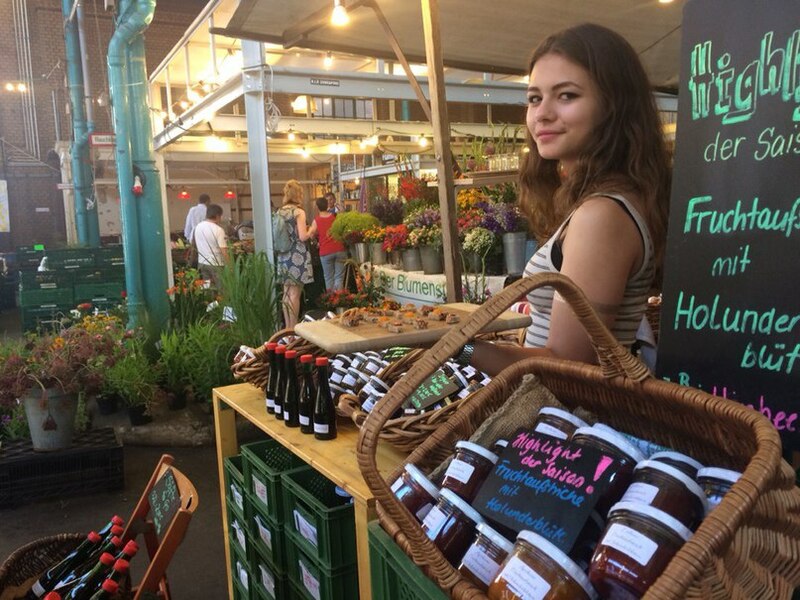 Every day The Markethalle Neun attracts youth and adults, tourists and citizens from the whole Berlin to buy great products, to see producers, to have a good time. People prefer this particular market to others because of its atmosphere. Every person, even if he or she is in the market for the first time, becomes a member of the community. The market is like a home where a very big family meets together. Markthalle Neun was created 4 years ago as an open space for dialogue about sustainable and fair global food system where throughout the whole year many fairs, workshops, seminars and festivals are conducted. For example, at Street Food Thursday, very popular event where one can buy high quality organic products only for five Euros.